When you want to watch DVD movies on iPhone, you should really get 4Media iPhone Max to serve you. This iPhone manager software not only backups iPhone content to PC, but also copy all formats media files on computer to your iPhone. It can help you convert and copy DVDs to iPhone in one step which makes it quite simple to enjoy DVDs on iPhone. How does iPhone Max do? 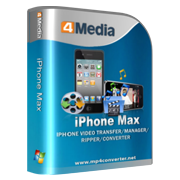 Follow this link to download the software: free download 4Media iPhone Max. Install it on your computer and start the software. Then, let's see how to copy DVDs to iPhone in single click. Insert the DVD you want to copy to iPhone and then you will see the DVD info has listed in the left tree view. Check the main movie files in the DVD, and click "Export Checked Files to Device" button to start to copy DVD to your iPhone. OK, that's all. After a few minutes, 4Media iPhone Max would finish the converting and copying. 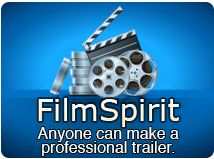 One click to copy DVD to iPhone, just so easy!